Tomorrow is the 18th Annual National Economics Challenge Finals! Steve Liesman, Senior Economics Reporter for CNBC, will serve as the emcee and Raphael W. Bostic, President and CEO, Federal Reserve Bank of Atlanta will make a video appearance asking the students questions. CNBC’s Squawk Box will be interviewing the students at 6:45 a.m. ET. CNBC’s Squawk on the Street will be interviewing the students at 10:45 am ET. CNBC’s Power Lunch will be airing live snippets of the Challenge from 1 p.m. to 3 p.m. ET. And, the Challenge will also be streamed live in its entirety on CNBC.com starting at 12:50 p.m. Watch here. Watch live to support your team! PS: We will also be live tweeting throughout day. Follow us: @council4econed and the hashtag #EconChallenge. 2018 National Economics Challenge Finalists! You’ve been waiting for this moment! The results are in and we are pleased to announce the Finalists for the 2018 National Economics Challenge! 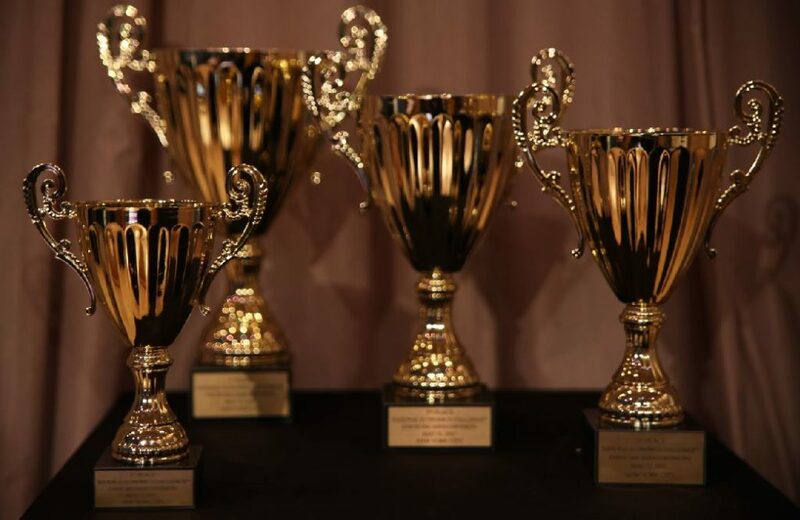 These sixteen teams had the highest scores in the semi-final rounds of the Adam Smith and David Ricardo Divisions and will be participating in the Finals in New York City on May 19 – 21. The top two teams from each division will go head-to-head for the title of National Champion. Check out our Facebook page for photos of each team. CNBC’s Squawk Box will be interviewing the students at 6:30 a.m. ET. The Challenge will also be streamed live in its entirety on CNBC.com starting at 12:50 p.m. ET. Watch here. Make sure to visit the National Economics Challenge website for more information about the competition. Congratulations to the finalists and thank you to all the teams who participated this year! Make sure to “follow” us on Twitter and “like” us on Facebook to see what the teams are up to in New York City! We are excited to announce we have teamed up with Kidfund to make it easier for families to save for their children’s future and college tuition. 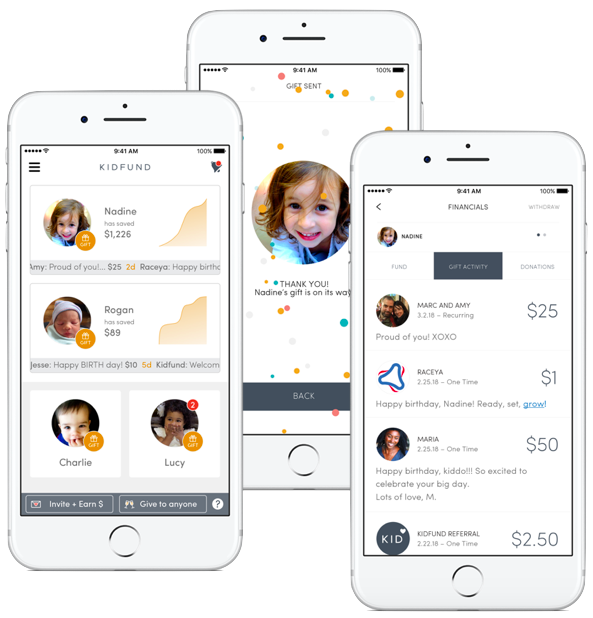 Kidfund is a socially powered savings app that lets families and friends contribute to the child’s account. The app engages the child in the process so they can understand the power of saving and watch their money grow. 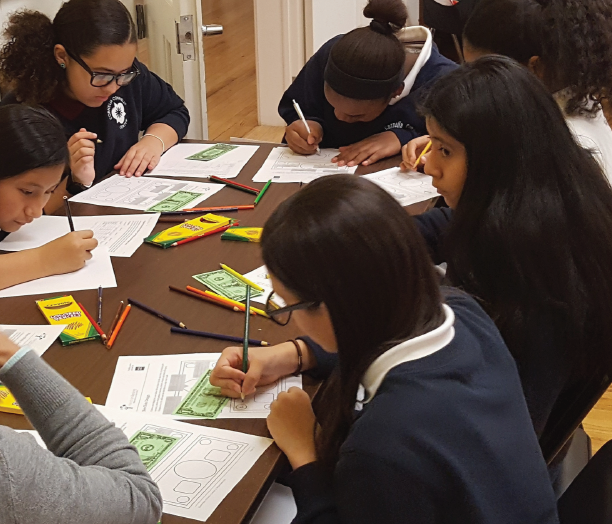 This partnership is a natural extension of CEE’s mission to provide children with the knowledge and tools to create financial stability for themselves and their families. 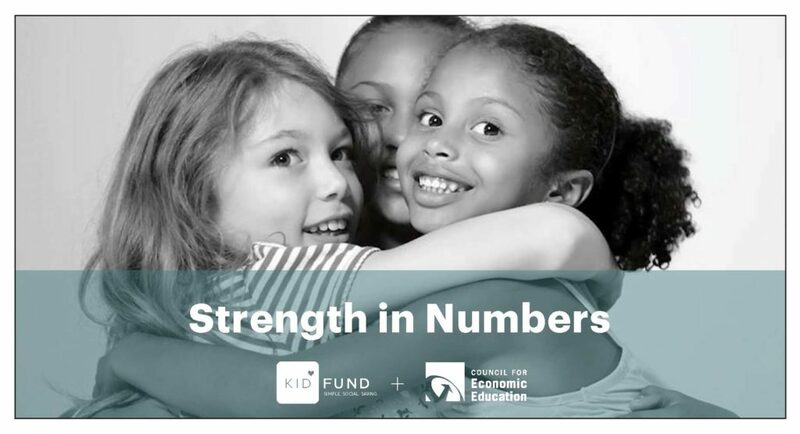 As a result of the CEE and Kidfund partnership, CEE will receive $10 for each new family that opens an account and starts to save to support its mission. We hope you’ll sign up for your child’s free account today and/or pass along this information to others who you think can benefit from this. And, for a limited time only, families new to Kidfund will receive $5 when they sign up and start saving. 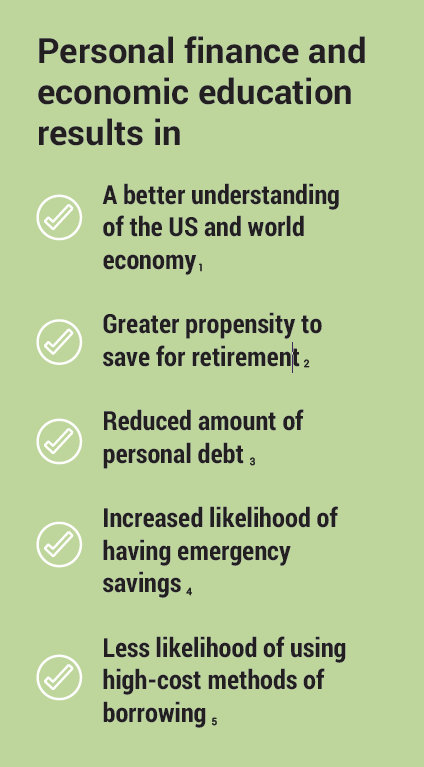 The funds are held securely in individual accounts at USALLIANCE Financial. The accounts are completely free (no fee, no minimums), earn 3% interest on the first $500, and are FDIC insured up to $250,000. To learn more about the partnership and how to download the Kidfund app, please visit: https://www.kidfund.us/cee-partnership. While standardized tests in our nation’s schools address the topics that we would most expect – math concepts, reading comprehension – what they fail to cover are the real-world skills that students need to be successful after graduation. This is where the Council for Economic Education (CEE) comes in. 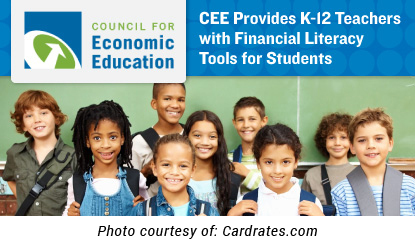 Since its creation just after World War II, CEE’s mission has been to equip K-12 teachers with the tools they need to create a strong financial education foundation for their students. 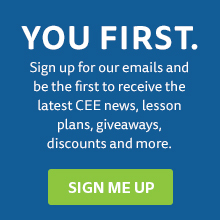 “We provide professional development and resources for teachers,” said Nan Morrison, President and CEO of CEE. “The resources range from lesson plans for the classroom, interactive activities, games, an assessment center, and videos.” Most of these resources you can find on CEE’s online teacher portal, EconEdLink, which accrues over 1.2 million sessions each year, or you’ll find them in one of CEE’s in-person professional development workshops. 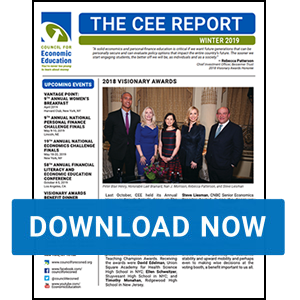 Whether its through EconEdLink, or in-person professional development workshops, webinars or student competitions, CEE has the resources to meet teachers where they are with what they need.